General founder Johan A. Boman was not just a normal man. He was a perfectionist and a hard worker, but most importantly, he was a man of action. While he loved Snus, he couldn’t find any Snus that was good enough for him. 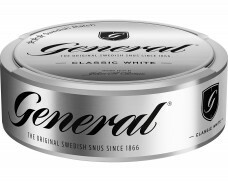 Many Snus products were made from low-quality tobacco, others were made using inferior production processes and others just couldn’t get the flavor right. 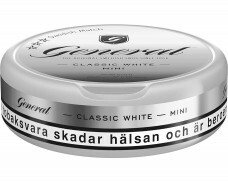 Being the man he was, Johan set out to create a Snus he would enjoy – the perfect Snus. What sounds like a fun project was a serious endeavor for Johan: The creation of the perfect Snus turned into a four-year expedition that sent the founder around the planet. 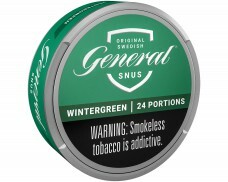 …tried countless different types of tobacco to find tobacco to make his delicious Snus with. …tinkered with different production methods, ranging from the drying of the tobacco leaves to how the leaves were ground. 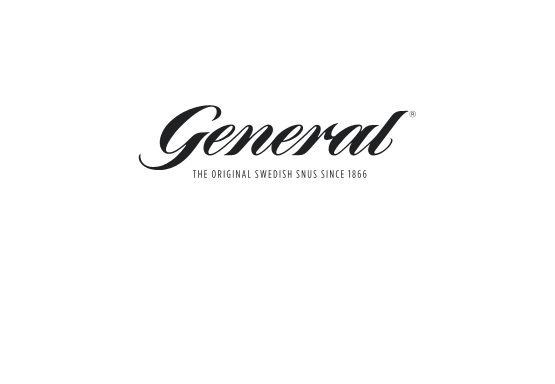 …created almost pedantic quality standards, urging suppliers not to use any stems. …experimented with many different recipes and blends to get the flavor just right. 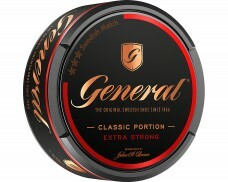 After four years, the future General founder had created his perfect Snus: A blend of 22 hand-picked tobaccos served as the base, a drop of bergamot oil along with hints of tea, hey and leather - this is the formula for success of the well-balanced flavor General would become known for. 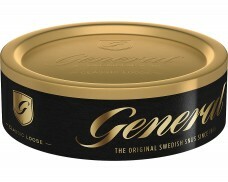 Until this day, the original General Snus recipe is a closely-guarded secret, shared with very few trusted people. 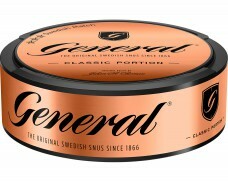 Soon after the first General Snus Portion left the manufacturing plant in 1866, General Snus took Sweden by storm. 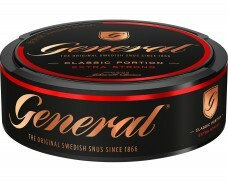 Even today, for many Snus-users around the world General is synonymous for real Swedish Snus. 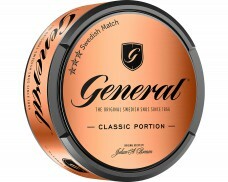 Johan A. Boman’s legacy lives on through many different kinds of General Snus, unified under the founder’s expectations of high quality tobacco and only the best production processes. 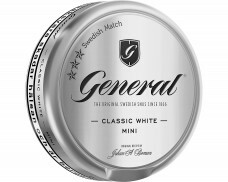 Today, General Snus offer ranges from regular Snus, White portion, flavored Snus and extra strong or mild versions of other General Snus. Throughout all the variations, the classic General flavor remains: Spicy tobacco taste with notes of bergamot and a touch of tea, hay and leather. 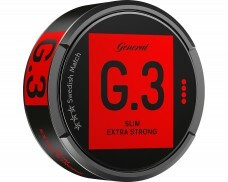 Swedish Match is continuously striving to develop new products while keeping General’s basic character. As a result, G.3 series was created – Generation 3 by General. This series offers improved portion sizes: Slim and Super Slim. 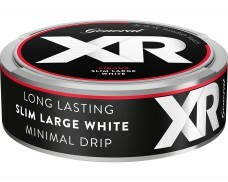 Not only do they offer a better mouth feeling thanks to their slimmer pouches, but also minimal drip and a higher nicotine delivery than classic formats of General Snus. 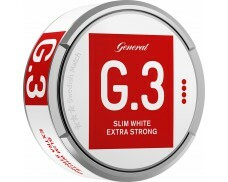 For example, G.3 Load Super Strong Slim White Dry Portion has 30% more nicotine content than G.3 Extra Strong. 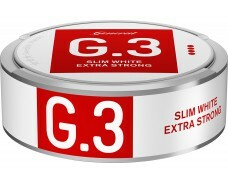 Moreover, the Slim White Dry format guarantees 20% less drip than G.3 pouches in the Slim White format. 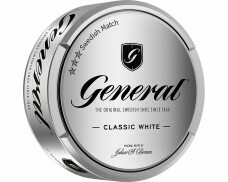 In cooperation with Alexander Gustafsson, a Swedish professional mixed martial artist and a passionate Snus user, Swedish Match has come up with a new General Snus line – General One including General One Portion and General One White Portion. 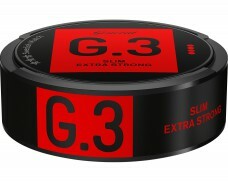 This new product development underlines once again Swedish Match’s commitment and endeavor to create Snus with the qualities that meet the users’ needs. General One stands for strong, soft and flavorful pouches. The classic General flavor is still prevalent, but the pouches offer a much more comfortable mouth feeling. 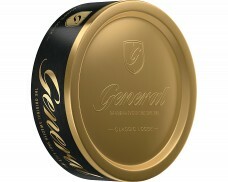 As a result of this cooperation with Alexander Gustafsson, his signature is printed on the cans of the General One series.